Chemical peels offer one of the least invasive ways to improve the look and texture of your skin. A chemical peel causes a reaction similar to a mild sunburn, leaving the skin more fragile and vulnerable to further damage. This can be exacerbated if you spend too much time in the sun. With less exposure to direct UV rays during winter, the healing process of the skin after a chemical peel is quicker and more effective. I love the summer but those long hours in the sun impacts the health of your skin and can lead to blocked pores, dehydration, hyperpigmentation and a deepening of unwanted lines and wrinkles. 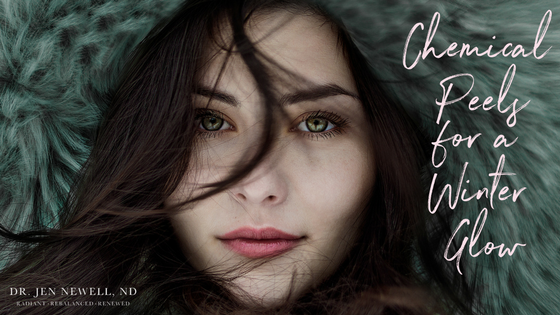 Winter is the ideal time to fade any sunspots, pigmentation concerns and freckles from the summer sun. A series of peels during the fall, winter and early spring is an excellent way of removing debris, oils and dead skin collected from those months in the sun, revealing a healthy, youthful glow beneath. Using the advanced Observ520 Analysis System, I can create customized chemical peels tailored to your skin type, aesthetic goals and unique cosmetic needs. I am excited to offer a wide range of treatments to improve the health and appearance of your skin (click here to learn more). Give me a call at the Integrative Health Institute at 416-260-6038 to book a free 15 minute consultation or initial visit to get glowing healthy skin.